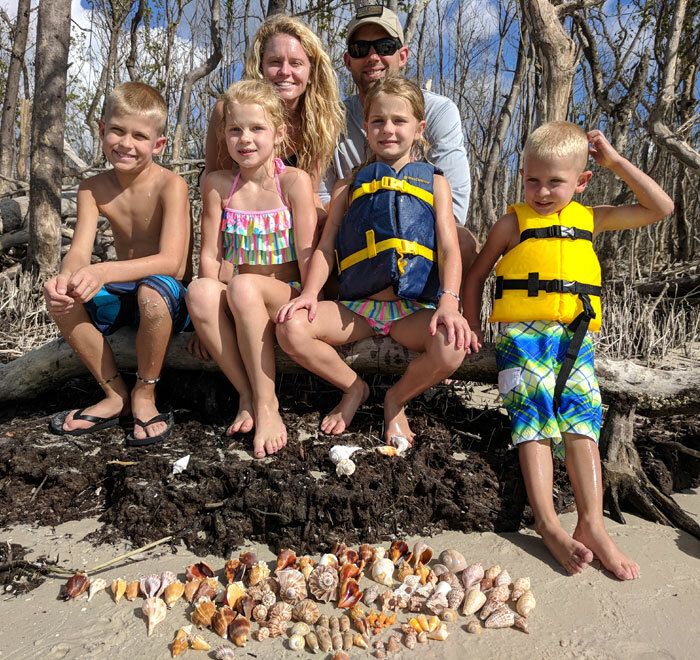 Book Your Shelling Tour Now! Please feel free to call or email Captain Jeff or Captain Tammy at any time. Most days we will be out giving tours and won’t be available to answer calls so please leave a message. All calls will be returned by the next day. 6 hour tour including approximate boat ride of 25 mins to and from the islands. This 6 hour private custom tour is for those who want the ultimate in privacy and the ability to make your own memorable day. We will have the ability to go to several locations in the Ten Thousand Islands if you so wish or you can have as much time as you want on the island we bring you to for shelling, sunbathing and just enjoying the beautiful Gulf waters while going at your own pace. Your wish is our command! Great for families, couples and honeymooners! This would also be a fun way to celebrate birthdays. We will try to optimize your trip by only booking tours based on the best tides available during your stay here in SW Florida. These pristine islands are so special and to keep them that way we practice “Leave Only Your Footprints” ecotourism, so for this reason we do NOT allow smoking on our tours. We also ask that anything you bring with you will be brought back to the boat as well so we may dispose of it properly. 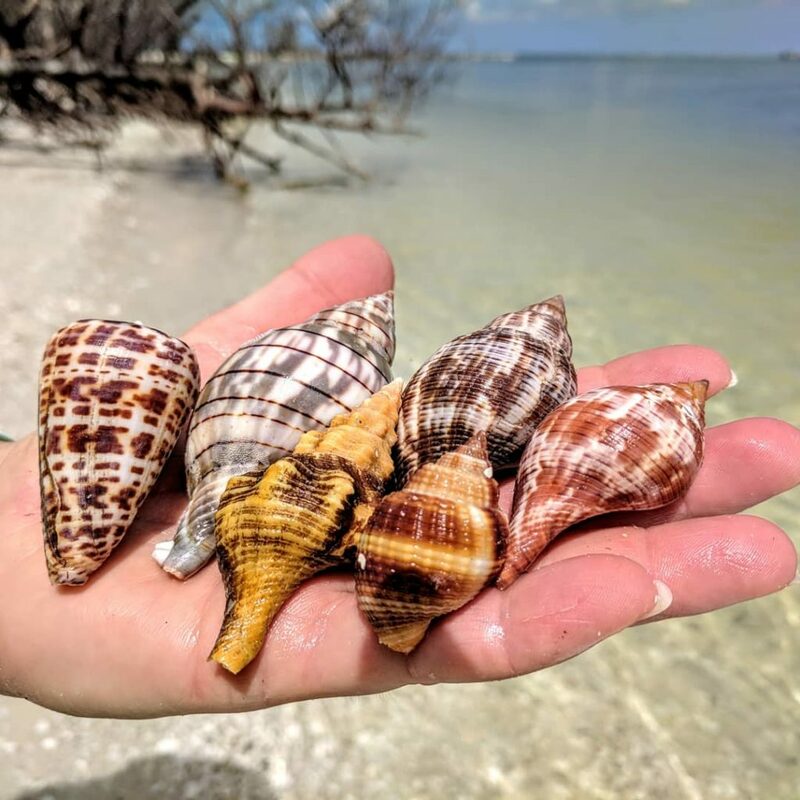 You will have an opportunity on our tour to find prized shells such as Rose Petal Tellins, True Tulips, Banded Tulips, Apple and Laced Murex, Alphabet Cones, Flat Scallops, Cockles, Wendletraps, Turbans, Nutmegs, Lightning Whelks, Florida Horse Conchs, Florida Cones, Jasper Cones, Semeles, Florida Fighting Conchs, Broad Ribbed Carditas, Kings Crowns, Lettered Olives (Golden too) and the famed Junonia! The approximate 25 minute boat ride from the marina out to the barrier islands south of Marco Island is a wonderful time to see dolphins jumping in the wake of the boat or at low tides experience wading birds on mud flats such as the Snowy Egret, Great Blue Heron, White Ibis or on a truly wonderful day we will witness the spectacular pink plumage of a Roseate Spoonbill! During certain times of the year we may even see a manatee which is always a special treat! To conclude the tour your guide will take you to the famous Dome Homes of Cape Romano for a little history of the area and some fantastic photo opportunities. Call us today at 239-571-2331 to book your shelling trip of a lifetime! Book Your Private 6 Hour Shelling Tour Now! During your tour with Treasure Seekers you can expect to be treated to a unique outdoor experience in a ecosystem many never have the opportunity to witness. 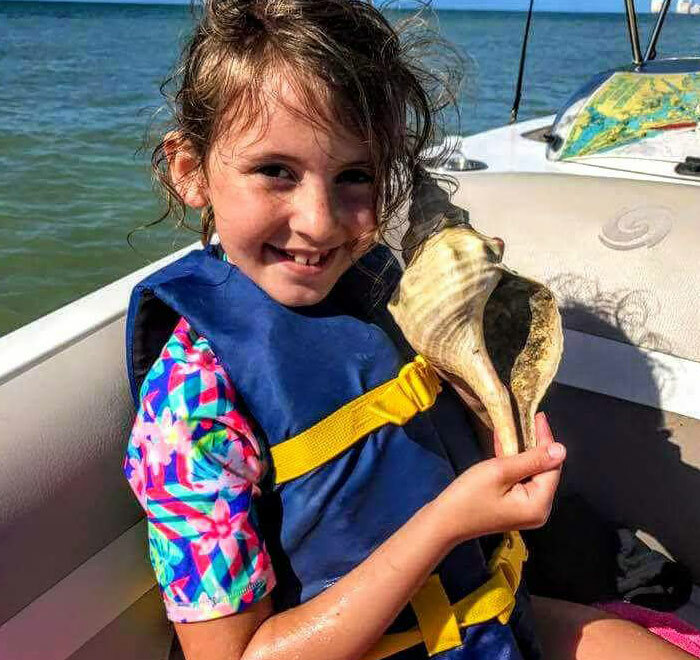 You not only will have the time of your lives finding magnifient shells, but we also hope you come away from the day feeling like you have made new friends. Our prayer for our guests is that you will be able to cast all your cares away, relax and see nature in a whole new light. Get on ISLAND TIME and smile! We want this to be the highlight of your vacation and a memory you can share forever. Like you, we can see the Lord’s divine handiwork everywhere around us. His creations are breathtaking! 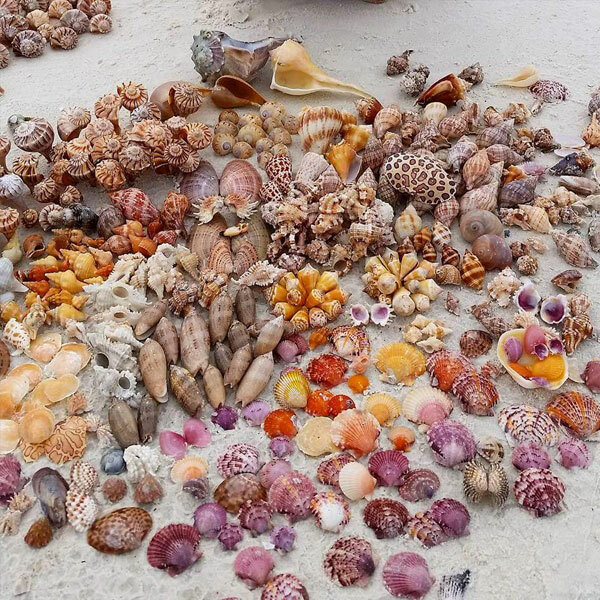 Some of the most spectacular of those creations are SEASHELLS. 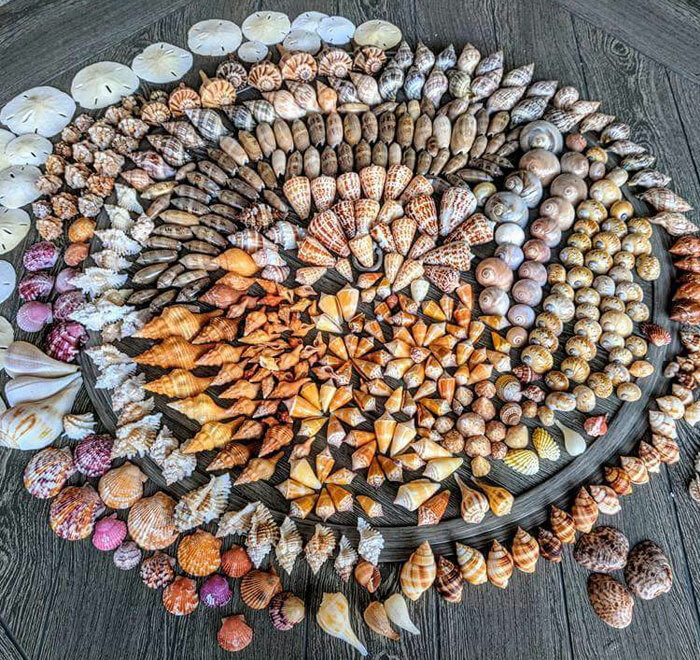 I’m sure you’ve all looked in awe and wonder at the intricacies of seashells just as we have. Their variety in shape, design, texture, pattern, and color is remarkable! It is little wonder that, through the ages, shells have been so valuable that they have been found buried alongside royalty in ancient tombs around the world. At times they’ve been used as currency, prized enough to quantify great wealth or be bartered for life’s necessities. You can expect a SHELLTASTIC day and make sure to bring plenty of shellbags/buckets because you will need them! 2nd Time just as good! Yep! We’re a repeat customer now! Had our 2nd trip with Captain Tammy and it was just as good as the first! Beautiful EVERYTHING! After a couple of hours of successful shelling and snorkeling we asked to go to a private beach to eat our packed lunches and just swim and enjoy. It was just heavenly!!! Captain Tammy is so knowledgeable and fun! Her first mate, Michelle, was so helpful!!!! Thank you both for another great lifetime memory! We’ll be back next spring again! !